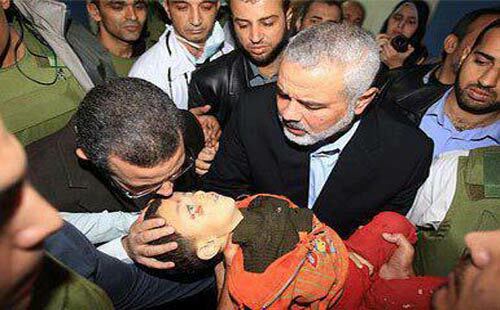 Yesterday the Muslim Brother’s government Prime Minister, Hisham Qandil, went to Gaza and was photographed holding and kissing a Palestinian child slain by the Israeli cruel bombardment of Gaza. The Media in the Arab world immediately shared and spread the photo over the Internet and Social Network sites. This morning it reported that Qandil returned to Cairo with a blood stained shirt! 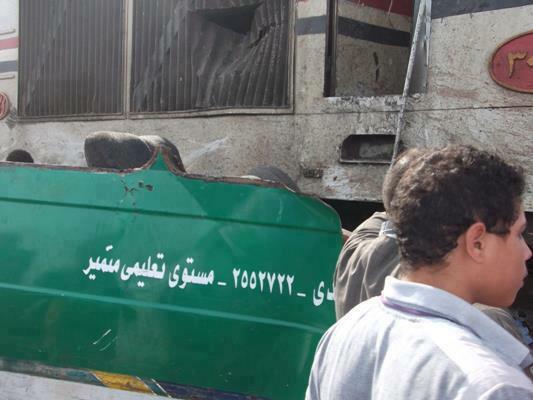 Meanwhile, this morning as well, Egypt woke up with a very tragic train bus collision in Asyut. The result of which over 60 4-5 KG children got killed. First, the MB president and his men described it as Fate and God’s predestination? I am wondering why the word ‘accountability’ doesn’t exist in their vocabulary and mind-set. I am also waiting to see whether Mr. Qandil’s complete suit will be stained with the children’s blood or not. As his shirt got stained with blood from carrying the slain child and a photo of which spread the Media as a symbol of solidarity with the Palestinian people. Will a same photo but of the children slain in Asyut be as widespread as that of Gaza’s child? Don’t get me wrong, I am not picking on his visit to Gaza or trying to find faults. I am completely sympathetic and feel very bad and sorry for what is happening to the Palestinian people. They are the ones who suffer, Hamas doesn’t because they hide in the tunnels. So I really feel bad for the children who get killed for no reason. Nevertheless, I am questioning the Egyptian government’s hypocrisy and hope they will prove me wrong. Have a look this photo, the school bus is under the train. « Is blue better than pink?